Sony is kicking off the E3 2018 party early as it plans to reveal a new game every day leading up to its big June 11 event. Apparently Sony has so many PlayStation updates to share on Monday, it's taking the spill over into this week. Starting tomorrow, June 6, Sony will reveal a new game for either PS4 or PlayStation VR – or, in one case, a game supported on both platforms – at 8am PT/11am ET/4pm GMT, or 1am AEST the next day in Australia. The first game in Sony's Countdown to E3 docket is a new PS4 game that includes PSVR support. This is followed on Thursday by news of the release date for an upcoming Worldwide Studios Title. Then comes a new PS4 game announced on Friday, followed by a new PlayStation VR game unveiled on Saturday. Sony's countdown concludes on Sunday with this: "an eagerly anticipated game comes to PSVR." PlayStation VR, then, is getting plenty of love in Sony's lead-up to E3. You can watch all of Sony's pre-E3 unveilings live on PlayStation's website, Twitch, YouTube and Facebook. 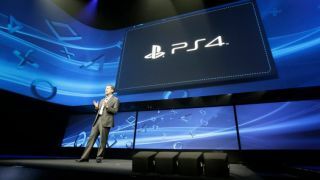 And don't forget to follow along with TechRadar's coverage of the Sony PlayStation E3 showcase at 6pm PT/9pm ET on Monday, June 11, which is 2am GMT/11am AEST on Tuesday, June 12.